Found 34 file extension associations related to LibreOffice Calc and 5 file formats developed specifically for use with LibreOffice Calc. 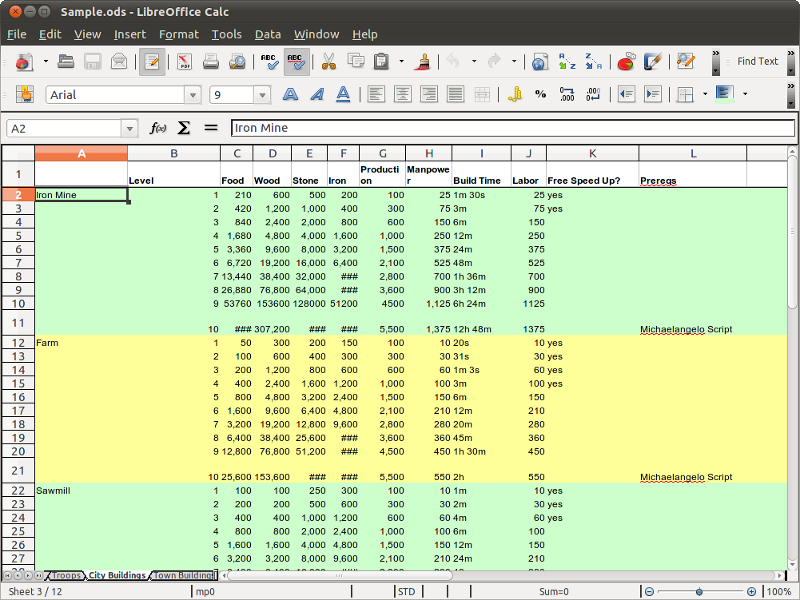 LibreOffice Calc is the spreadsheet program you've always needed. Newcomers find it intuitive and easy to learn. Professional data miners and number crunchers will appreciate the comprehensive range of advanced functions. Advanced DataPilot technology makes it easy to pull-in raw data from corporate databases, and then cross-tabulate, summarise, and convert it into meaningful information. Natural language formulas let you create formulas using words (for example: "sales - costs"). The Intelligent Sum button inserts a sum function or a subtotal automatically, depending on the context. Wizards can guide you through choosing and using a comprehensive range of advanced spreadsheet functions. Or you can download templates from the LibreOffice template repository, for ready-made spreadsheet solutions. Styles and direct formatting makes it easy to apply flexible cell formatting options, including freely-rotating contents, templates, backgrounds, borders and much more. Become a spreadsheet expert, using templates with built-in functions, so that you can re-use a pre-prepared sheet and just focus on the immediate work. You can do collaborative work on spreadsheets, thanks to Calc's multiple-user support. You can share a spreadsheet, so that other users can easily add their data to it. The spreadsheet owner can then easily integrate the new data, in just a few clicks. This collaboration feature helps avoid editing conflicts. You can save your spreadsheets in OpenDocument format, the new international standard for documents. This XML-based format means that your files can be read even if the recipient is not a Calc user. Your spreadsheets will be accessible using any OpenDocument-compliant software. You can also open Microsoft Excel spreadsheets, and can also save your work in Excel format for sending to people still locked into Microsoft products. If you only need to make your data readable, but on a wide range of devices and platforms, you can export to Portable Document Format (.pdf). Calc can read .xlsx files created with Microsoft Office 2007 for Windows or Microsoft Office 2008 for Mac OS X. If you need more information please contact the developers of LibreOffice Calc (The Document Foundation), or check out their product website.